Customizing products to mark an occasion – especially one as momentous as your wedding – is the perfect way to introduce a personalized touch. Crafting your own unique sense of coupledom through made-to-order décor and gifts is a beautiful way to share your love story, hobbies, and passions with guests. One thoughtful way to do this is by branding gifts provided for your wedding party and guests. These are the people closest to you, who are just as excited for your big day as you are. Aside from making sure they’re loaded up on tissues, gifting them with a token they’ll be able to use beyond the big day says “thank you” in a way the traditional thank you card cannot. And if it’s designed to remind them of you and your special date? It’s a win-win for everyone. Boat totes can also be a timely gift when given before your wedding day, as your bridal party may find them useful to stash emergency provisions and an extra pair of socks and shoes for dancing. 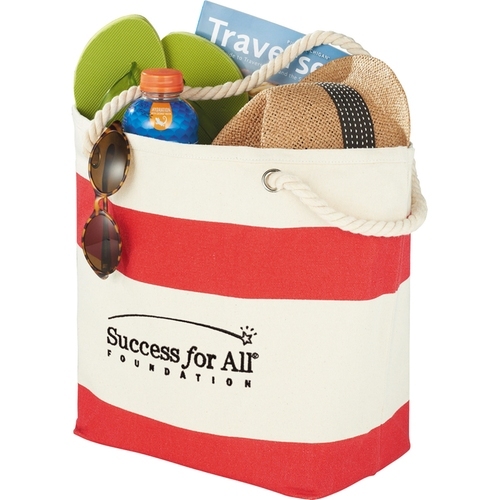 Beyond that, tote bags are a fun item with plenty of surface area to design a memento for your wedding guests. Consider adding your wedding hashtag, the ceremony date, or even a custom logo crafted for your day (ePromos can help with that). If you’re feeling extra generous, fill each bag with a few more goodies! If you’re throwing a destination wedding, a custom designed beach towel will receive plenty of use! From sunny days catching rays to nights spent around a bonfire, you may find beach towels to be a meaningful investment for all involved in your wedding excursion. For the nautical themed ceremony, your special present will have an obvious tie-in! How nice to have loved ones reminded of your wedding day when they’re packing for their own special getaway? From plush terry, to nautical stripes and colorful beach motifs, ePromos has plenty of design options from which to choose – and all can be customized online. The most beloved of all photo booth props! How could sunglasses not make our list? At ePromos, we offer a range of products, including aviators, Ray-Ban style, and half-lens frames. Once you pick the style you like, you can choose the color(s) that match your palate. Most shades also have room for further customization on the armband, so you could add your wedding date, location, new last name or hashtag! For those holding a day-time, outdoor wedding, a pair of shades is a great gift to hand out to guests as they arrive, so they can use them during your sunny ceremony. Let’s be real – stilettos and dress shoes have no place at a beach wedding. Even so, your guests may feel a bit awkward about dressing too casually. Help guests loosen up and get comfortable by providing flip flops or sandals for them to slip into after your ceremony! A custom shoe designed to commemorate your wedding date is perfect for dancing and merrymaking against a gorgeous beach backdrop. Or consider springing for comfortable, beach-ready footwear for your bridal party, who will be on their feet from sunup to sundown on your dream day. 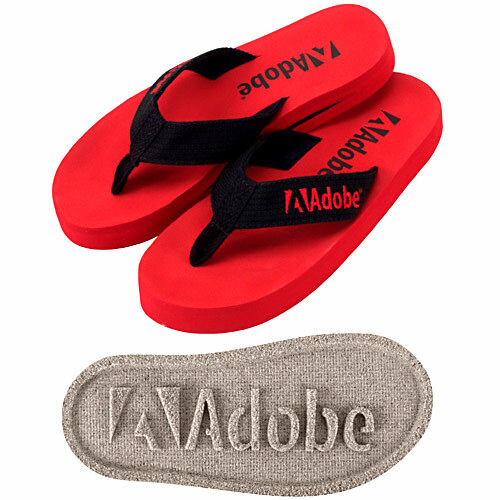 Customization can range from selecting particular colors, to adding a quote or message of your choosing, to printing a photo or other visual on the shoe’s strap or footprint. When it comes to your wedding day/weekend, you’ll want as few emergencies as possible. Fight the odds someone heads home with a ruined smartphone by gifting water-resistant protective cases to friends and family! Designed with your colors, messaging and/or imagery, A cell phone case can be used by guests lounging poolside or out in the sun and surf. Design yours with colors to match your décor, and imprinted to include personal details (the date, city) or something fun for the wedding party. Destination weddings are a dream combo: Vacation, celebration, and your closest family and friends all together. That said, travel is definitely not everyone’s bag. And for those who don’t mind it, it can still be exhausting. Help guests chill out as soon as they arrive with a handy travel kit! Find the product that suits your budget and your guest’s needs. Some come with neck pillows, eye masks and ear plugs; others, with TSA-approved travel bottles, lip balm, and sunscreen. Did we mention you can request free samples from our online store? If a to-go wine tumbler with a lid doesn’t scream bridal party, we’re not sure what does. These cute, convenient, lightweight tumblers are the perfect choice for sipping rose while getting wedding-ready – minus any worry about spillage. 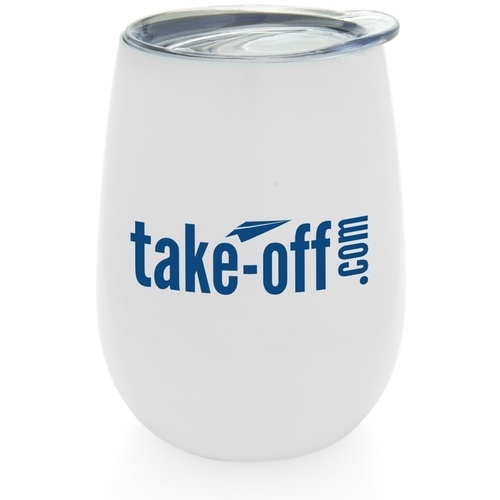 To-go wine tumblers are also fun for toasting the happy couple in the days pre-and post-wedding ceremony beachside. With options in wood, plastic, and stainless steel, you can custom create the tumbler that fits your wedding vision. If you want a gift that really plays into your theme or destination, here’s an obvious choice! ePromos has a sizable selection of inflatable beach balls, sand buckets, and toys perfect for use in the surf and sand. Imprint your favorite engagement pic on a full-color kite or stamp your names and date on an inflatable toy or beverage holder. Not only are these gifts fitting, they’re quite easy to pack up for the flight home! Similarly, you might find a winning wedding favor amongst our larger collection of custom toys. 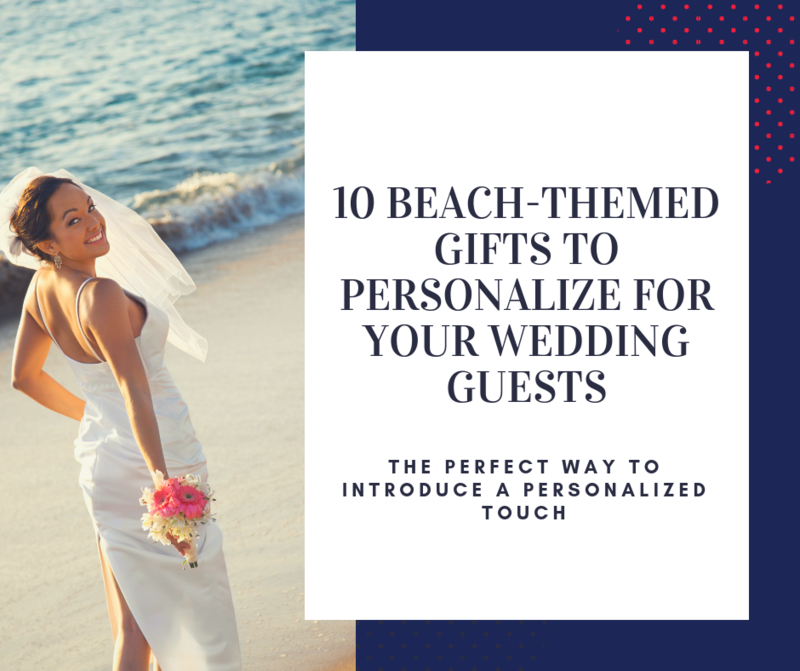 Sure, you could design beach wedding favors just for the kids… but we think your adult friends and family will have a blast with them, too. Choose from a slew of whimsical gifts, including bubbles, flying discs, glider airplanes, and toy water guns! The best part is most of these toys are inexpensive, even with your custom design! So wedding planners on a budget can save money, while those looking to splurge might find a little something here to accompany another gift. Whether all or some of your wedding guests are traveling for your nuptials, many might enjoy a coloring book for the long flight or drive back! In our selection of customizable coloring books, we have a Color Comfort book with a “serenity by the sea” theme. How perfect! Choose your ink color and add text, an image or both to the cover. Then gift this appropriately-themed book ahead of their trip or before they head home. Coloring books are a creative way to calm nerves and help the time pass. Just don’t forget the crayons and colored pencils to go with! We hope these party favor and gift ideas have inspired you to think about taking your wedding to the next level! We’re all for promoting your theme and reflecting each element to be all about the bride(s), groom(s), and the love you share. Gifting your bridal party or all guests with a personalized memento is a lovely way to commemorate your big day (or even week!). If you have any questions or need help during the design process, our experts are available by Chat online, by email and phone at 800-564-6216.